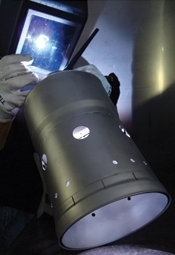 AeroWeld specializes in the Smokeless Liner Conversion. Repairs on Rolls Royce M250 Series II, III and IV Combustion Liners. All series 1st Stage Nozzle Shields. Quick Turn Times, Competitive Pricing and Superior Quality has given AeroWeld Inc. its excellent reputation.